For my hambassador pork delivery this month I requested ribs, a lot of ribs because it's barbecue season and you just can't beat ribs. These were hands down the meatiest most tender ribs I have ever tasted. I didn't trim down the skirt on the ribs, just pulled off the membrane to let the marinade soak in and left them as they were. These two mammoth racks of pork ribs fed six of us (with leftovers) including Trevor, my brother in law and my Dad and believe me these guys can put away ribs! 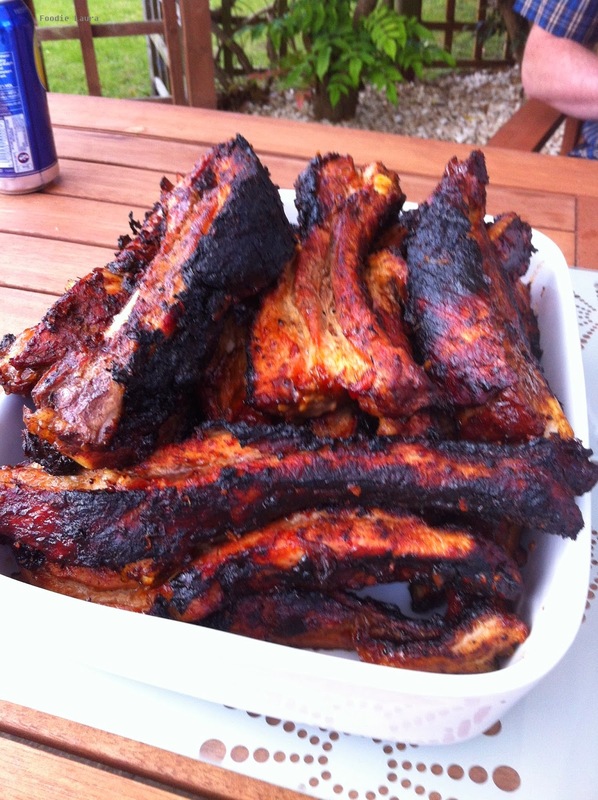 I had to cut the racks of ribs in half to get them into the over night marinade and even then I had to use a drawer as I didn't have any other vessel that could accommodate the 4kg of red tractor pork rib goodness. The marinate was very close to DJ BBQ's rad rum ribs which is in his new book and he also just happened to share it in a recent Food Tube video. 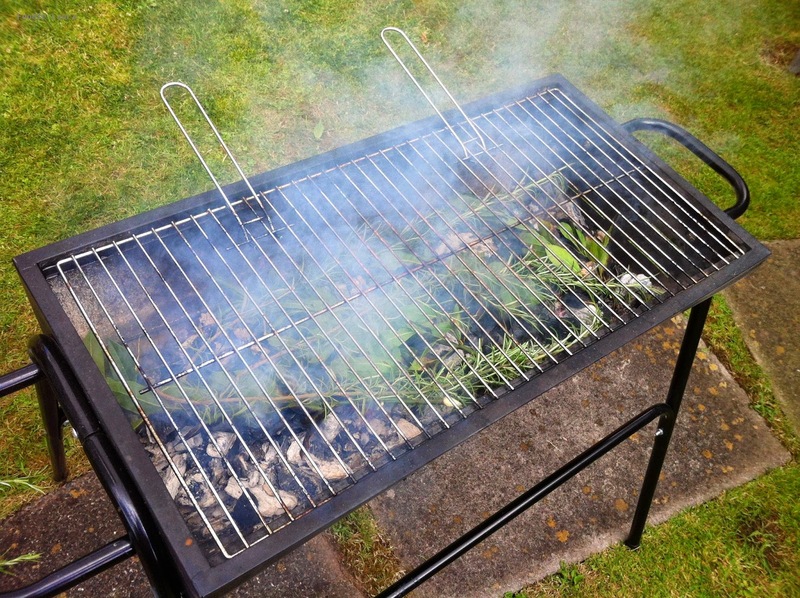 After the charcoal on the barbecue had turned mostly white I added armfuls of rosemary and bay leaves (courtesy of a good pruning in my Mom's garden) to the coals to get a fragrant herb smoke going before adding the ribs. 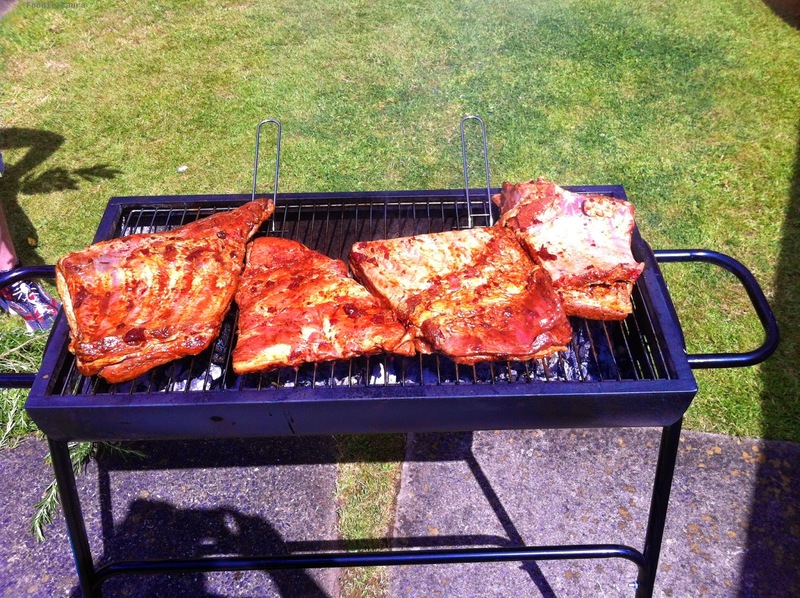 I doubled the recipe for our beastly racks of ribs. I also switched the maple syrup for a mix of agave nectar, date syrup and pomegranate molasses. I'd like to say this this was all planned to give it an extra fruitiness but actually I found my maple syrup had gone mouldy. I didn't even know this could happen, I thought maple syrup was like self preserving or something. Fortunately, I have a bit of syrup collection and the marinate was divine with the fruity substitutes. 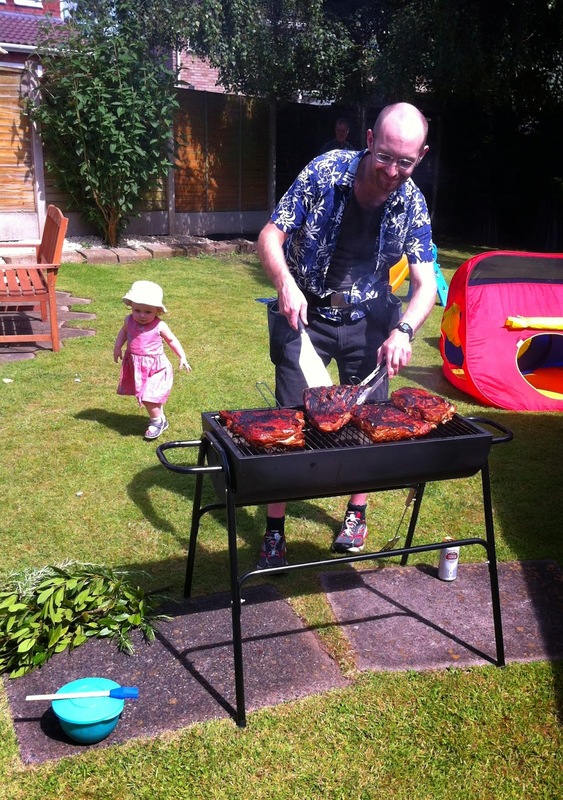 I have to give a special mention to Trevor and his BBQ belt, he lovingly basted the ribs on the barbecue for over an hour to keep them moist and he carried the ribs in their bright pink marinating drawer for the one stop on the train to my sisters house. It was a special kind of effort to prepare the ribs and get them to the table and I have a new found respect for the professional barbecue competitors that camp out all night to baste their money muscles. 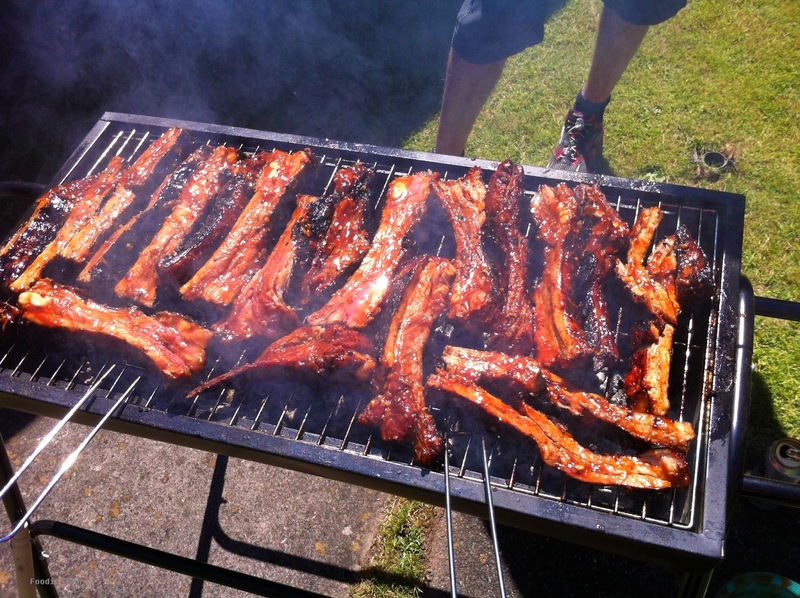 It was worth the effort, we had a perfect family afternoon socialising (and drinking) in the sun around the smoking barbecue and were rewarded with a bounty of sticky smoked ribs.